Treating patients with agents that do not change the underlying course of the disease costs the healthcare system less than not providing medication for Alzheimer’s disease, according to new findings presented at AAIC 2016. Additionally, patients receiving the current standard of care in treatment had lower mortality rates during the study compared to untreated patients. Another study analyzing all-cause mortality rates and healthcare costs among people with Alzheimer’s disease found that those who had never been treated were generally older and had more comorbidities and a death rate almost twice as high as those receiving treatment. Vascular care intervention may be beneficial in the treatment of non-Alzheimer’s dementia, according to findings from the Prevention of Dementia By Intensive Vascular Care (preDIVA) trial. Researchers conducted a six-year, open cluster-randomized controlled clinical trial in primary care where 3,526 cognitively healthy persons age 70-78 were randomized to either usual care (1,636 participants) or usual care plus three additional visits per year led by a nurse and focused on vascular care (1,890 participants), with cumulative dementia incidence and disability as the primary outcomes. Main secondary outcomes were incident cardiovascular disease, mortality, and dementia by subtype. New evidence suggests that the potential for odor identification testing and tracking of physical changes in and around the eye to detect cognitive impairment and Alzheimer’s disease at an early stage. Two studies evaluated changes in odor identification and compared it to two established biological markers for cognitive decline and dementia—brain amyloid PET imaging and thickness of the brain’s cortex. Other studies reported at the meeting found a strong association between thinning nerve layers in the retina of the eye and poor cognition, suggesting the potential of retinal imaging as part of early Alzheimer’s testing. Visit www.alz.org for more information about these studies and others. A new version of Cefaly, an FDA-approved external trigeminal nerve stimulation device for the prevention of frequent episodic migraine attacks, is now available in the US. Now three-quarters the size of its original version, Cefaly II is an electronic, battery-powered, device that is placed on the forehead for 20-minutes once a day, using a self-adhesive electrode and a magnetic connection. It sends tiny electrical impulses through the skin to desensitize the upper branches of the trigeminal nerve and reduce the frequency of migraine attacks. Among the new features of Cefaly II is the ability for patients to control their session by ramping up the intensity to their desired comfort level, while a new magnetic connection allows the device to more quickly fall into place and more securely maintain its connection. Visit NeurologyWire.com for more updates and breaking news. The American Academy of Neurology (AAN) is cautioning against the routine use of percutaneous closure of patent foramen ovale (PFO) in patients with cryptogenic stroke, according to its new guidelines. Published in the journal Neurology, the guidelines note that percutaneous PFO closure with the STARFlex device offers little benefit over medical therapy alone and should only be used in rare circumstances, such as recurrent strokes despite adequate medical therapy. Additionally, while use of the Amplatzer PFO occlude may decrease the risk of recurrent stroke, it also increases the risk of new onset atrial fibrillation and also comes with a procedural complication risk of 3.4 percent, according to the AAN. The guidelines also note that evidence is thus far lacking to determine the efficacy of anticoagulation in preventing recurrent stroke and recommend the use of antiplatelet medications in the absence of another indication for anticoagulation. A new study suggests that Deep Brain Stimulation (DBS) may improve the quality of life and functioning of people with severe disability from traumatic brain injury (TBI). The findings, published in the August edition of the journal Neurosurgery, represent the first of their kind, with researchers investigating the nucleus accumbens of four patients who had suffered severe disabling TBI from automobile crashes six to 21 years earlier. Two years after implantation, three participants met a priori criteria for improvement on the Mayo-Portland Adaptability Inventory-4. The FDA approved Insightec’s Exablate Neuro system, a technology that uses focused ultrasound waves for the non-invasive treatment of essential tremor (ET) in patients who have not responded to medication. Exablate Neuro targets and ablates tissue deep within the brain with no incisions or implants under Magnetic Resonance Imaging (MRI) guidance for real time treatment monitoring. The approval was based on clinical data from a randomized, double-blind clinical study in which 76 patients were randomly assigned to receive the Exablate treatment or the sham procedure, which is the exact same procedure but without any ultrasound energy. Patients in the placebo treatment arm were later allowed to undergo an Exablate Neuro treatment. 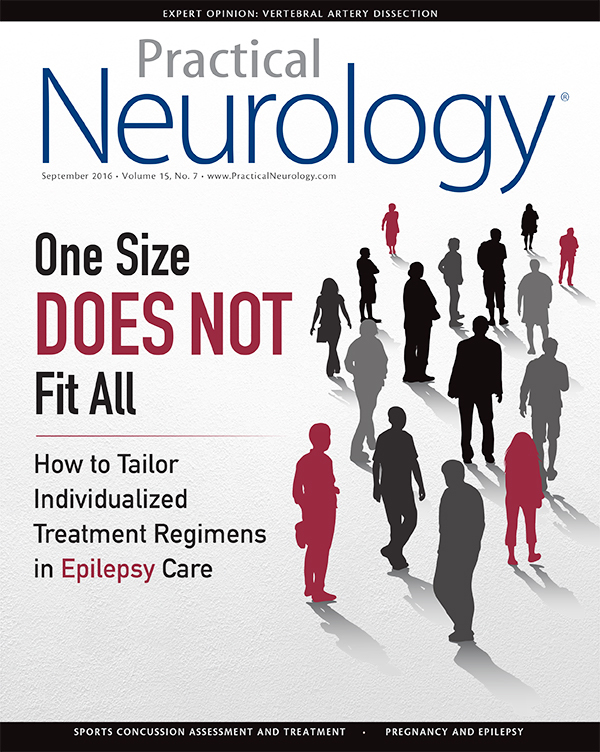 Patients treated with the Exablate Neuro showed nearly a 50 percent improvement in their tremors and motor function three months after treatment compared to their baseline score, according to the company, while patients in the control group had no improvement, and some experienced a slight worsening after the sham procedure before they crossed over into the treatment group. The FDA has approved Troxyca ER (oxycodone hydrochloride and naltrexone hydrochloride, Pfizer) extended-release capsules for the management of pain severe enough to require daily long-term opioid treatment and for which alternative treatment options are inadequate. Troxyca ER has properties that are expected to reduce abuse when crushed and administered by the oral and intranasal routes. However, Pfizer notes that abuse by these routes is still possible. It is the only oxycodone with oral abuse-deterrent features described in the labeling. Troxyca ER extended-release capsules contain pellets that consist of oxycodone hydrochloride, which surround sequestered naltrexone hydrochloride, an opioid antagonist.